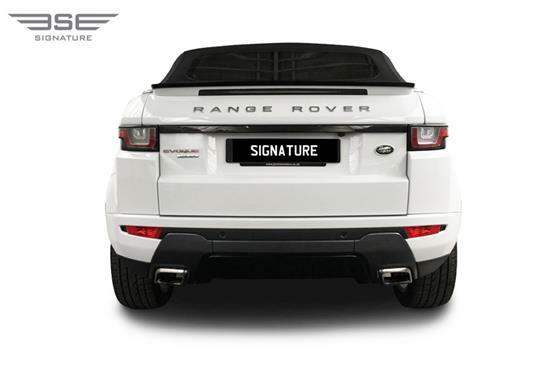 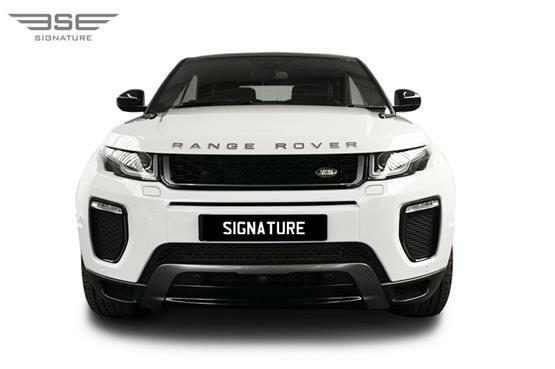 Our stunning white Range Rover Evoque rental car brings together Land Rover style, luxury and quality into a compact sized hire car that is Range Rover's most successful ever model. 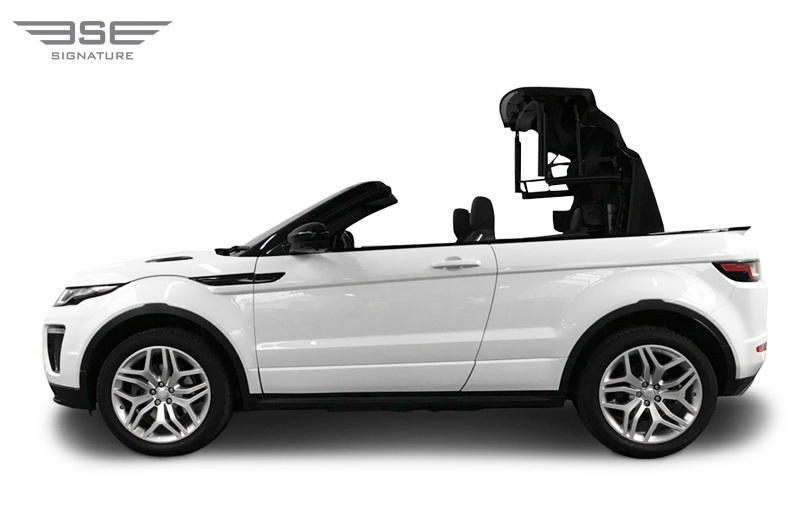 This model is a convertible, so you can drop the hood and enjoy the British summer sunshine as and when it appears on your rental journey. 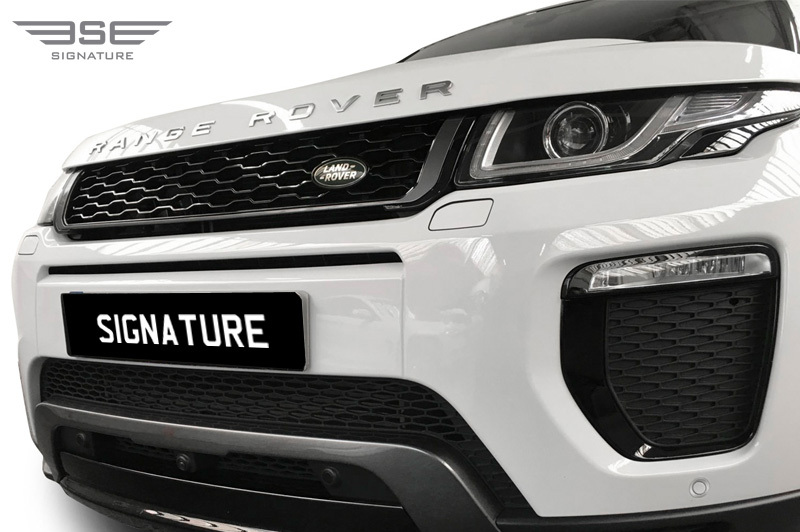 This car looks absolutely stunning with the hood either up or down and still offers drivers of its on and off-road abilities. This car is still a 4x4 which allows you to drive off-track to remote and picturesque places ensuring you can still make the most of the great outdoors. 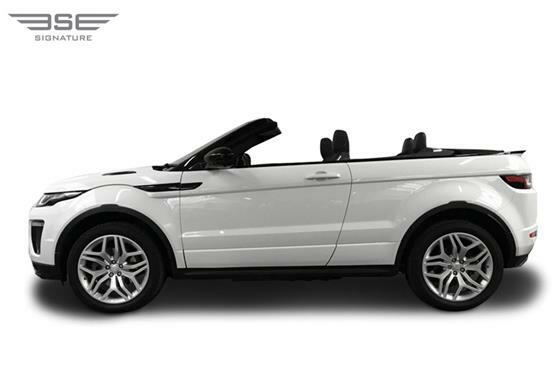 Even though this is a convertible rental car it still offers drivers and passengers a very smooth and comfortable ride all thanks to a super slick gearbox. 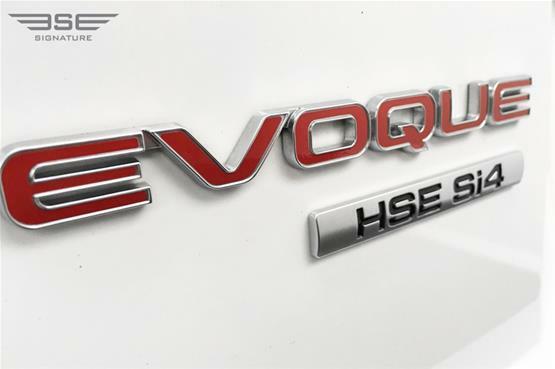 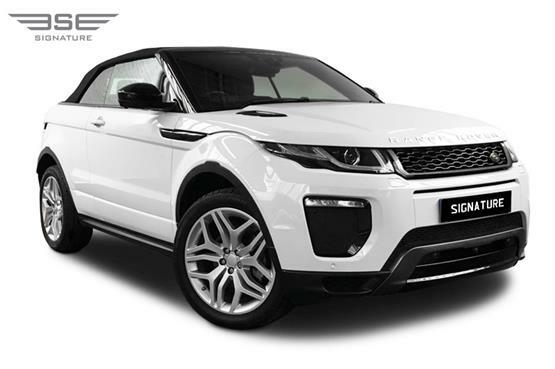 Our rental Evoque is also highly economical with its Ingenium diesel engine returning as much as 47 mpg, making it an ideal rental car for long term hire. For a 4x4 this car is refined. 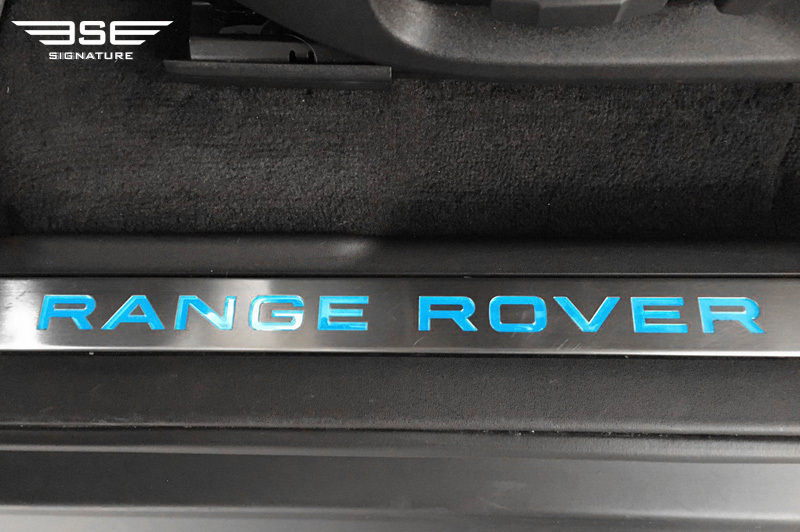 You’ll experience excellent levels of sophistication and comfort throughout, all thanks to the high standard levels you would expect from Range Rover. 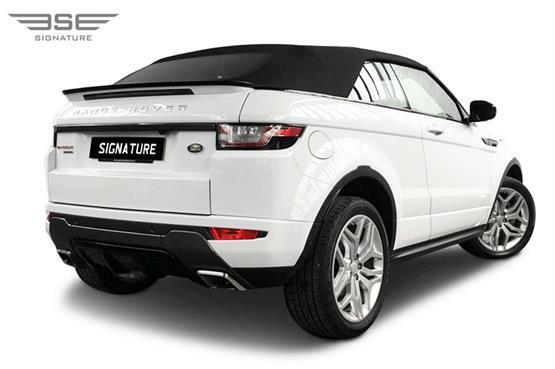 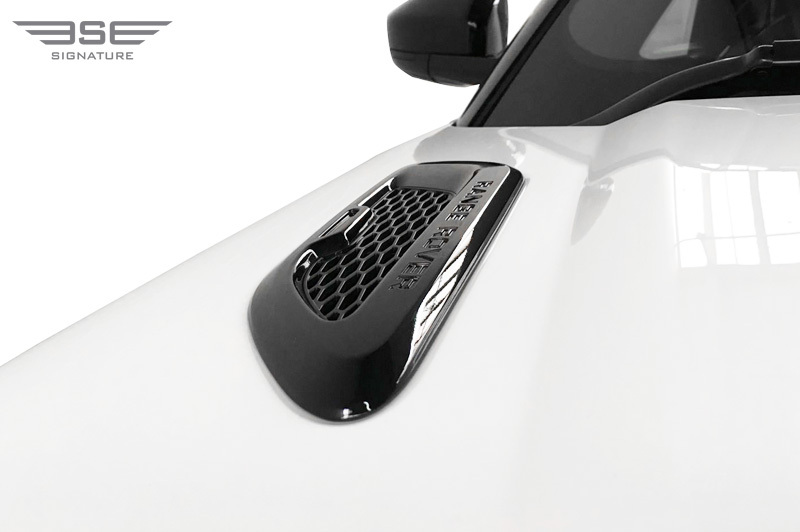 The Range Rover Evoque Convertible has a fabric Z-folding Convertible Roof System which is electrically operated. 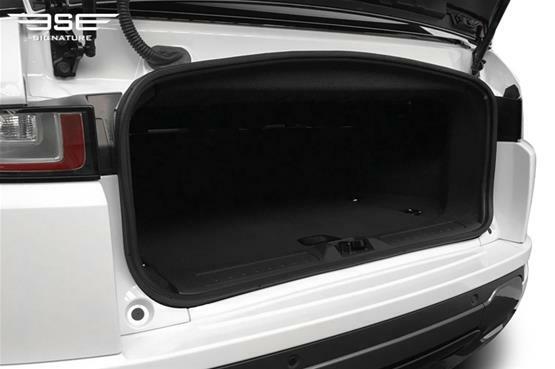 Noise is reduced thanks to the fabric roof which is well lined and insulated to muffle out street noise. You can also enjoy heads up display, heated front seats and a 10" Touchscreen in this model. 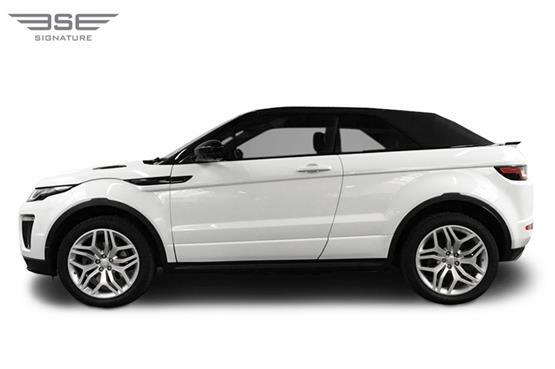 Our Evoque convertible hire car offers safe and secure handling in all conditions and with precise steering, it extends confidence and control in all situations. 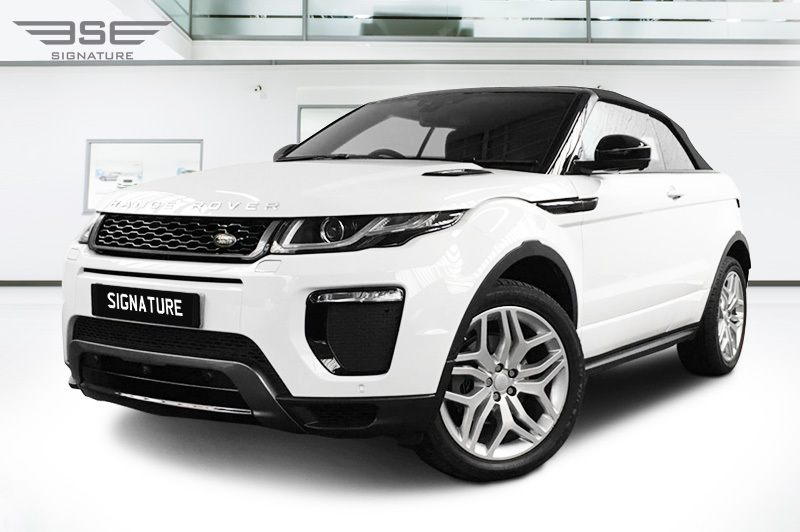 The Evoque also has Terrain Response, a system that allows a variety of drive modes tailored to different surfaces, including grass, mud, snow and sand, should your rental journey encounter such terrains! 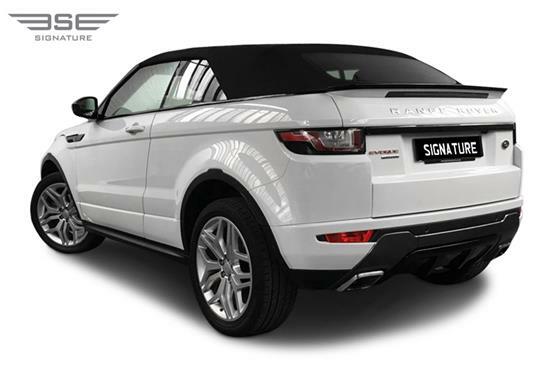 It also has Hill Decent Control for even more adventurous driving. 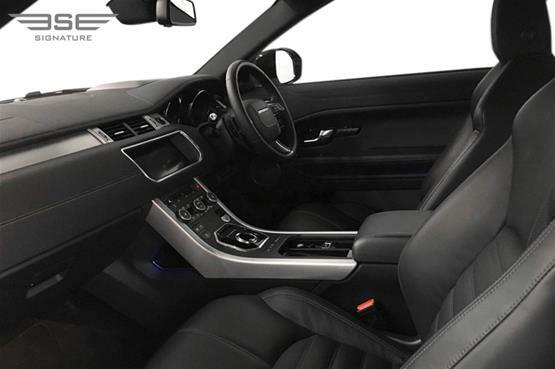 All this adds up to a highly desirable, luxury convertible rental car that will get you noticed wherever you decide to drive. Call Signature Car Hire today on 0207 118 2244 for more details on how you can hire our rental Range Rover Evoque Convertible.